Hi guys, at present time billion of users must have to use latest technology smartphone. These smartphones are developed by different mobile manufacturing companies which comes with latest features. Today we have to discuss about the Google Play Store error and solution to fix them. Most of the users download different types of apps from Google Play Store. These apps are very useful for Android smartphone, due to provide great features. But sometime few apps generate the error code during downloading an app from Google Play Store. Most of the person share his experience about these topics on the Google forum. Google forum is a place where lot of discussion of different problem are done and also solutions are provided by different persons. Today we discuss error code of Google Play Store by name of DF-BPA-09 Error Processing Purchase. This type of error occur sometime when you are trying to download an app from Google Play Store. Most of the person trying to download again and again to overcome this type of problem, but they don’t get success. So, main question arise in mind how to overcome that type of problem. I try to provide you few easy steps to get the solution of the error codes of Google Play Store. 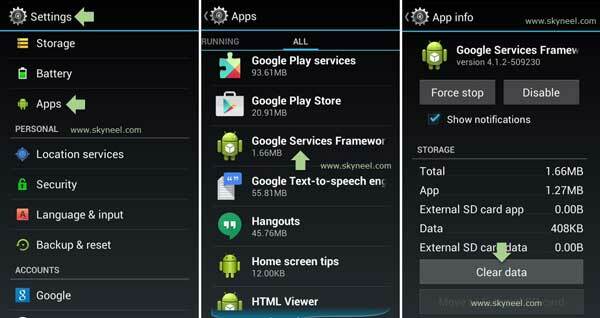 Step 1: First of all open app menu on your Android phone, then tap on the system settings on your smartphone. Now tap on the Apps or App manager tab which you will find in the phone setting . Step 2: Scroll and find Google Services Framework and tap on it for open this. Now, tap on the “Clear data” tab then click on the OK button. that’s all. Note: We hope that Google Play Store very soon fix this error DF-BPA-09 Error Processing Purchase problem in the future, but till you have to use given steps. If you feel that these steps are not working properly then download any app which generate that error either on PC or Laptop from Google Play Store. After that again try to download this app on your smartphone, now it should work properly in your smartphone. I hope you like this article. After reading this article you will be able to know the Google Play Store error and solution to fix them. Kindly share your knowledge with your friends, family members and others. Thanks to all.